We’ve already established it: fat babies are ugly. So when exercise fails to perfect your infant’s physique, what to do? Put her on a diet! 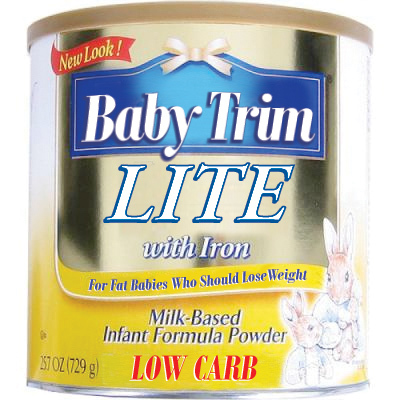 Different varieties for baby weight loss needs! When breastfeeding, you can keep your baby’s diet low-fat by only eating low-fat foods, but when selecting a formula, there are a few options out there just for your chunker. Whether you’re an Atkins fan, a low-fat follower, or a raw diet devotee, you can trim those thunder thighs with calorie cutbacks. And, if all else fails, your fat baby has a final glimmer of hope: Baby Spanx. This entry was posted in Beauty, Diet and tagged baby diet, fat baby. Bookmark the permalink.